Alpha 32 having aft and fwd companionway and sliding saloon roof. She has full diesel fired heating, new calorifier, New cooker, hob and fridge, Sterling Battery Management system, Solar Panels, new heat exchanger and a large inverter. There are 2 large gas bottles contained in the aft locker. She is a low air draft cruiser so will navigate all the Broads Bridges. Being an ex hire craft she has been painted over the years and a "touch up" would not go amiss. Otherwise she is very much ready to enjoy especially for those longer stays aboard or as a potential live-aboard. There is a full inventory so there is nothing needed to sail and enjoy. 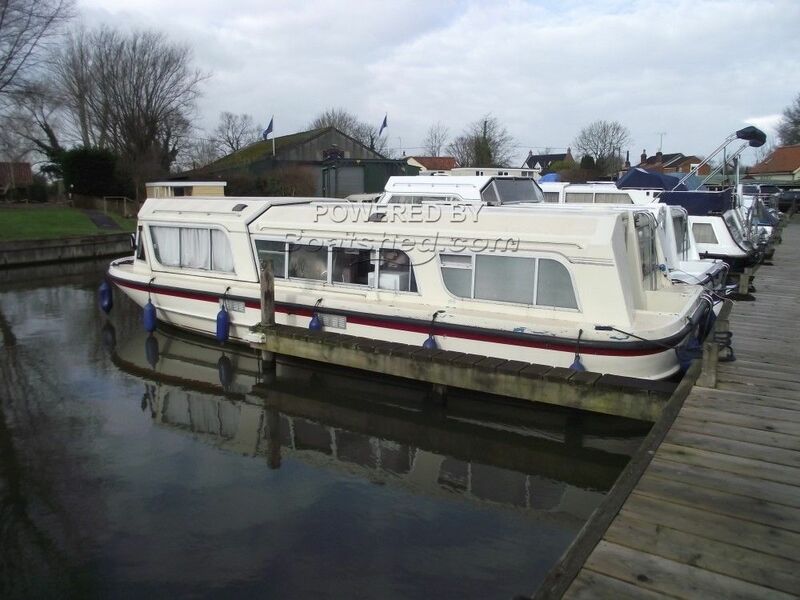 This Alpha 32 has been personally photographed and viewed by Gary of Boatshed Norfolk. Click here for contact details.